Founded in 2014 by Charles McCauley, Jr., Dome and Spear Distillery, LLC is a family-owned and -operated craft distillery in Evington that produces McCauley’s Virginia Bourbon Whiskey from a recipe developed by Charles Jr. and his son, Charles III. Their mission was to handcraft a unique small-batch bourbon that is pleasing to both veteran and next-generation bourbon enthusiasts, while supporting Virginia farmers through the use of locally grown corn. In 2016, the Virginia Alcoholic Beverage Control Authority (ABC) assigned distribution of their whiskey to 20 ABC retail locations. 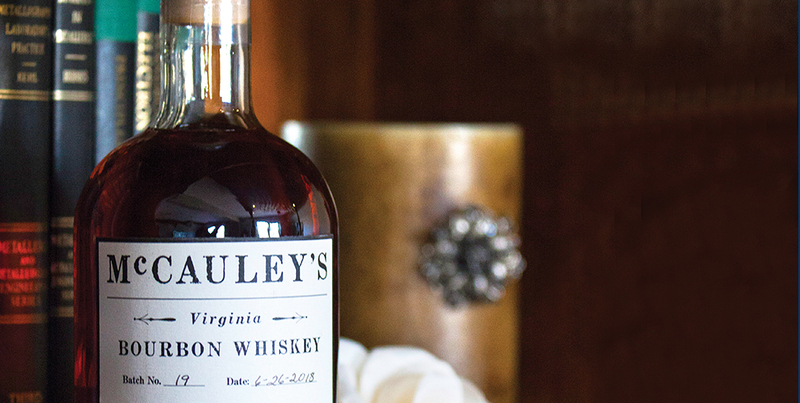 Through tasting events, social media, and consumer recommendations, McCauley’s Virginia Bourbon Whiskey is now stocked in almost 100 stores. Do you know of a product manufactured locally? Let us know at shelley@lynchburgmag.com.